Outside: Well, there you go. 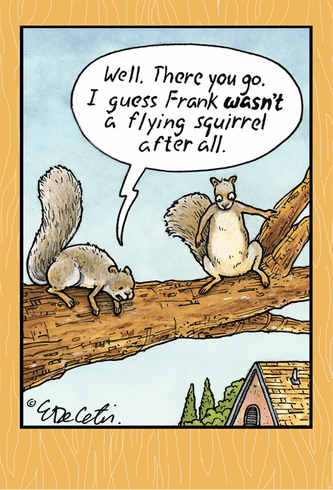 I guess Frank wasn't a flying squirrel after all. Inside: Hope you're flying high on your birthday.